Product prices and availability are accurate as of 2019-04-14 14:04:35 EDT and are subject to change. Any price and availability information displayed on http://www.amazon.com/ at the time of purchase will apply to the purchase of this product. This German World War I fighter squadron led by a Blue Max recipient didn't include the Richtofen (the Red Baron), but it's range of colorful characters was nonetheless impressive. 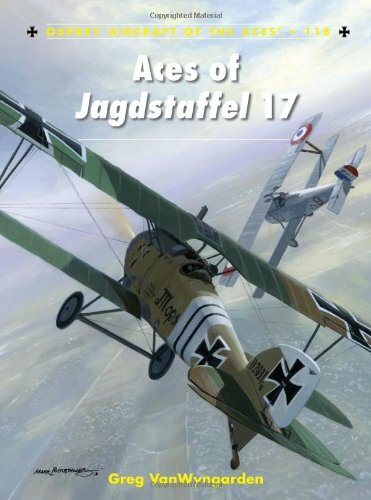 Initially formed to assist in the defence of the city of Metz against French bombing raids, Royal Prussian Jagdstaffel 17 would go on to become one of the most distinguished German fighter units of World War 1. Its first victory was scored by the pilot whose story is inextricably interwoven with that of his unit - the 'Blue Max' recipient Julius Buckler. Buckler would rise from a humble NCO to commander of the Staffel, and overcome numerous wounds to score 35 of the squadron's total of 101 confirmed victories. He was largely responsible for inspiring the unit's unique Esprit de Corps, expressed in its famous and unique 'battle-cry' of 'Malaula!' Indeed, in its final days the unit gained the nickname Zirkus Buckler, or the 'Buckler Circus'. Besides Buckler, Jasta 17 boasted such aces as Karl Strasser, Alfred Fleischer and Christian Donhauser. In addition, the roster included colourful characters like the successful Jewish airman Jakob Wolff, who at over 48 years of age was the oldest German fighter pilot of the war. 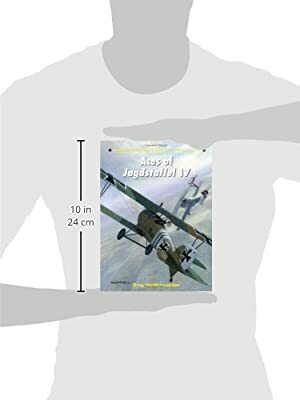 The story of this illustrious unit is told with many first-hand accounts by Buckler, Fleischer and others, as well as dozens of rare archival photos of the unit's beautifully decorated fighter aircraft.